The Atlantic: A young woman sailing solo across the Atlantic makes an incredible discovery - a man narrowly clinging to life in the open ocean. But the desperate survivor is more than he appears. He is a Kidon - an Israeli assassin - who forcibly commandeers her boat with a new destination in mind: England. There the two are forced into an uneasy partnership as they run from a secretive and lethal organization. The resulting wake of destruction brings Scotland Yard to the hunt - searching for an accomplished killer and a woman whose life has been capsized. One Shot: The Kidon soon uncovers the true enemy - a manipulator responsible for the tragic event that shaped him to be what he is. There is only one solution. 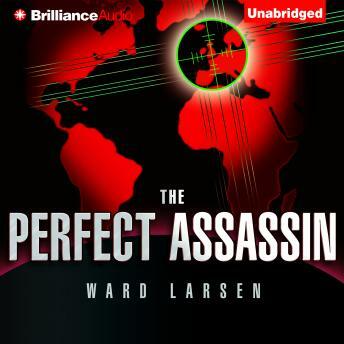 With deliberate, inescapable precision, he will hunt down the one who created... THE PERFECT ASSASSIN.